The UBC Masters in High Performance Coaching and Technical Leadership is a three year, 30 credit specialized program for experienced sport coaches and technical leaders who are looking to advance in their careers. The program is composed of a one year graduate certificate followed by masters course work. Year one (June) and two (August) begin with a week long residential institute held at UBC Vancouver. The remaining schedule consists of online teaching methods that are designed to facilitate the participation of candidates from across Canada and around the world. Stimulate and conduct research within a vibrant and collaborative research community that focuses on methodologies and content relevant to the visual arts in culture and society. Provide for, model, and develop socially responsible and ecologically aware exemplary teaching practices in and across contexts with a focus on the visual arts in culture and society. Provide leadership, and engage with local, national, and international arts and culture organizations and professionals. The research interests of faculty in Art Education are diverse. They encourage a wide spectrum of student inquiry: art based research, a/r/tography, art curriculum, early childhood, teacher education, First Nations art and education, histories of art education, multiculturalism, museum and gallery education, perception and cognition, studio practices, technology and visual culture, theory/practice relationships, and gender studies. In community and agency counselling, students focus on counselling individuals, couples and families. Affective and developmental needs of individual and families are studied in content and practicum courses. Skills are developed in group and individual counselling. Students graduating from this specialty area are employed as counsellors in a range of governmental, industrial, and agency settings. In this area of specialization, students focus on college/university counselling. The focus is on the facilitation of informed career decision making and life style planning. Beyond the common core, students in this area acquire knowledge about counselling issues pertinent to students in higher education, and develop skills in individual and group counselling. Students graduating with this area of focus are employed as counsellors in colleges and universities. The MA and MEd programs in school counselling are offered for both elementary and secondary school levels. These programs offered are intended to develop knowledge and skills for school counselling and child and adolescent counselling in non-school settings, with emphasis on individual and group counselling, consultation, coordination and assessment. Students who complete courses in school counselling are employed by school districts as counsellors. Child and youth counsellors are employed in mental health, hospitals, community care teams, and schools. Curriculum Studies includes, but is not limited to investigations into: teacher education, the social construction or knowledge, curriculum and instructional discourses, and the role of curriculum and curricular reform in K–12 and other learning environments. Students learn about issues of planning and development, program implementation and evaluation, and pre-service teacher education. Inquiry in the field is multidisciplinary and includes numerous perspectives and orientations such as: cultural studies, historical consciousness, post structuralism, feminism, multicultural education, semiotics, and critical theory. The MA program in Educational Studies is a department-wide program that can be completed full-time over a two-year period or over a longer period for part-time students. 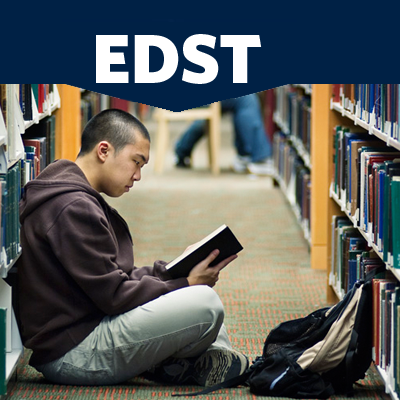 The EDST MA is a flexible program designed to meet the needs of a wide range of people interested in conducting and learning about educational research. The emphasis on educational research provides students opportunities and training to conduct their own research projects. MA students can focus their studies in one of four MA concentrations: Adult Learning and Education (ALE); Higher Education (HIED); Society, Culture and Politics in Education (SCPE) or Educational Leadership and Administration (EDAL). Graduate studies in Home Economics Education is a small but very lively program. 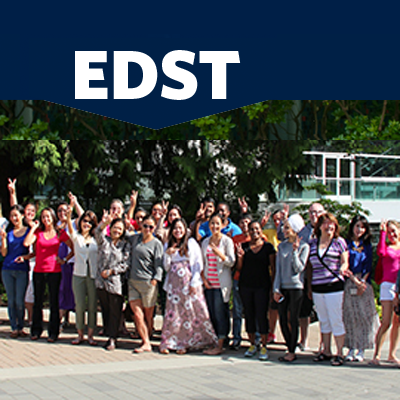 Over the years Home Economics faculty have worked closely in areas of shared interest in research and practice with colleagues throughout the Faculty of Education and related units across campus. Interests include global education, critical inquiry, food, health, environment, and inquiry into practice. The Department of Curriculum and Pedagogy offers a PhD concentration and MA and MEd specializations in Home Economics Education, along with a secondary Teacher Education (BEd) major and Diploma in Home Economics Education. The MA program is appropriate for students with an undergraduate degree in an area related to HDLC. The MA program is a 30-credit program that involves completion of coursework and a research-based thesis, and is normally completed over two to three years. The program is appropriate for those with an interest in research and the possibility of continuing on to advanced work in a doctoral program. A teaching certificate is not a requirement. “Self-regulating” learners mobilize “metacognition” (e.g., awareness of strengths and challenges in relation to tasks), motivation/emotions (e.g., growth mindsets), and strategic action to proactively and adaptively learn in all kinds of contexts. Models of self-regulated learning provide powerful frameworks for educators to understand challenges/successes in students’ learning and engagement, and construct practices that foster students’ development as empowered, strategic learners, innovations (e.g., inquiry learning, assessment for learning). The HDLC MA program is most appropriate for those with an interest in research and the possibility of continuing on to advanced work in a doctoral program. Participants in the MA- SRL concentration will engage in rich, inquiry-based processes through which they will continually have opportunities to co-construct knowledge related to learning and development, and to bridge theory, research and practice. As part of their program, they will advance their understanding about research methods suited to the study of complex learning processes like SRL, and will contribute to understanding about HDLC and SRL through undertaking a supervised masters thesis project. Are you interested in coaching science? If so, the preferred degree path is the non-thesis MKin degree. Some recent sample major paper titles are: “Exercise Considerations for the Prenatal Client”, “Goal Setting for Collegiate Golf”, and “Injury Prevention in Amateur Ice Hockey”. The faculty member most closely associated with this degree is Dr. Maria Gallo. Information on the program structure is available on our Master’s Program page. The Masters program in Literacy Education (MEd and MA) engages aspiring professionals in the study of rich language and literacy practices from early childhood through adolescence and adulthood. Masters level courses are offered in the areas of Early and Adolescent Literacy Practices, English Education, Children’s and Adolescent Literature, Drama and Theatre Education, Digital, Multimodal and New Literacies, Adult, Family and Community Literacies, and Teacher-librarianship. The graduate programs (MEd & MA) in Mathematics Education are part or the graduate offerings in the Department of Curriculum and Pedagogy. Students can pursue a wide variety of research and professional interests in mathematics teaching and learning. 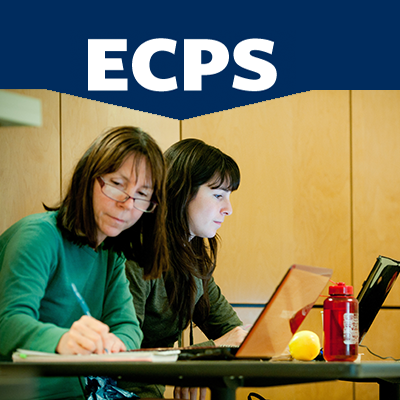 The math education program has a legacy of large-scale research projects, such as the Early Numeracy Project and the Trends in International Mathematics and Science Study (TIMMS), which involve a network of regional, national, and international scholars. For information on research into complexity, please see the Complexity and Education site. The Measurement, Evaluation, and Research Methodology (MERM) programs prepare graduate students to be research methodologists, measurement specialists, and evaluators in the public and private sectors. The MA program prepares graduates for mid-level positions in measurement, testing, research and evaluation. The program is appropriate for those with an interest in research and the possibility of continuing on to advanced work in a doctoral program. Technology Studies Education provides a forum for exploring and studying information and communication technologies (ICT), new media, and the philosophy of technology. Curriculum, pedagogy, research, and development interests of faculty and students include affective computing, cyberculture and cyborg relations, digital ecology and diversity, distributed cognition, gaming, ICT integration in K–16 formal and informal learning environments (face-to-face, hybrid, and online distance education), intellectual property, open source, and cultural studies. The program offers a common core of courses, a range of electives, and a variety of professional education opportunities. Although there are formal course requirements for the advanced degrees, students in the graduate programs are encouraged, with the aim of individualizing each program of studies, to take graduate courses in the Departments of Anthropology/Sociology, Psychology, and Linguistics in the Faculty of Arts, as well as in the Departments of Educational Studies, Curriculum and Instruction, Administrative Education, and Educational Psychology in the Faculty of Education. In this way, each program is individually tailored to suit students’ talents and interests. The MEd and MA degrees are available on a part- or full-time basis and have no residency requirement. Situated spectacularly at the western edge of the culturally vibrant city of Vancouver, the University of British Colombia offers exciting opportunities for graduate study in Music Education. UBC graduate programs in Music Education are designed to meet a variety of needs and interests, including those of the busy professional teacher, the researcher, the administrator, the curriculum developer, and the future university professor. Specializations include conducting, music pedagogy, early childhood music, curriculum development, cultural studies, music and media studies, music and related technologies, and teacher education. Music Education faculty members have a wide range of research interests and specialties, using methods that are both qualitative (based in philosophy, history, psychology, sociology, arts-based educational research, and a/r/tography) and quantitative (involving quasi-experimental research, survey research, and large-scale multivariate designs). Courses across the university are also available to our graduate students, and cross-faculty inquiry is actively encouraged. UBC Music Education graduates have successful careers and have risen to leadership positions in North America, Europe, and Asia. Physical Education offers courses which include integrated/thematic approaches in outdoor environmental, leadership or experimental education programs; active living, health promotion and wellness; movement education; teaching games for understanding; inclusive models of education for equity and justice. 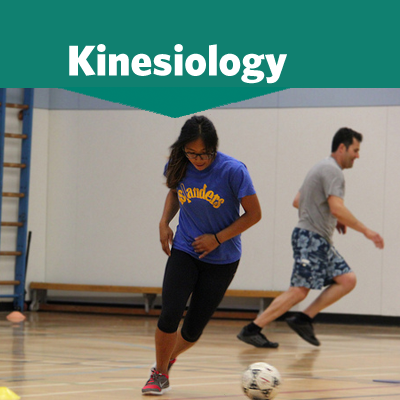 Teachers interested in secondary physical education, sports specific instruction, or coaching may enroll in courses within the School of Human Kinetics. Our graduate programs in Science Education offer students opportunities to pursue a wide range of research and professional interests in the areas of science education, including teacher education, learning and teaching at elementary, secondary, and post-secondary levels and in diverse contexts, such as museums and other institutions and technology-enhanced settings. Current research projects includes the Intergenerational Landed Learning on the Farm project. Social Studies prides itself in offering a rich environment with unparalleled opportunities for graduate students desiring a wide range of backgrounds and interests including visual culture, anti-oppressive education, gender studies, historical consciousness, moral education, and the history and politics of curriculum. In addition to the required coursework, a vibrant graduate student community is fostered through speaker series, research centres, seminars, and study groups. Many social studies faculty and students are actively involved in the Centre for the Study of Historical Consciousness and the History Education Network (a seven-year project, sponsored by a $2.1 million SSHRC Strategic Knowledge Clusters Grant awarded in March of 2008). This concentration is appropriate for students with a special interest in meeting the educational, behavioural, and communication needs of students with autism spectrum disorders or other developmental disabilities (e.g., Down syndrome, cerebral palsy). This concentration is appropriate for students with a special interest in supporting students at risk for or with behavioural disorders. This MA program involves completion of coursework and a research-based thesis, and is normally completed over two years. This concentration prepares professional personnel to work with all ages of deaf and hard of hearing children and youth in various kinds of educational programs and settings. 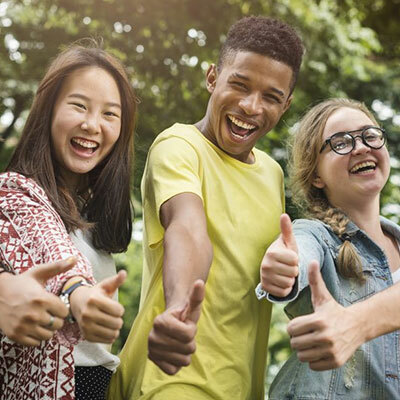 The program is offered through a combination of on-campus summer coursework and part-time, on-line study that allows students to remain in their communities and maintain work during the school year. This concentration prepares professionals in cognitive and social development designed to promote understanding of developmental patterns in learners of high ability. This concentration is designed for teachers who work in general education classrooms and/or within learning assistance or resource classrooms that include students with learning disabilities. This concentration supports educators and educational leaders who seek to advance their knowledge and expertise related to creating inclusive classrooms and schools. This concentration allows for avenues that prepare educators to work with students who are blind or visually impaired in the classroom and as orientation and mobility specialist. The Adult Learning and Education (ALE) program is a campus-based 30 credit professional degree program for aspiring adult education practitioners who may already be (or wish to be) working as instructors, program planners, consultants, community activists or administrators in a variety of settings. Students learn about ALE history and different philosophical approaches, theories of adult learning, and approaches to program planning and are encouraged to improve their specific area of practice and contribute to public discussions about the significance of adult learning in relation to the economy, social inclusion, community development and cultural diversity. The research interests of faculty in Art Education are diverse. They encourage a wide spectrum of student inquiry: art based research, a/r/tography, art curriculum, early childhood, teacher education, First Nations art and education, histories of art education, multiculturalism, museum and gallery education, perception and cognition, studio practices, technology and visual culture, theory/practice relationships, and gender studies. For more information on research in art education, please see the a/r/tography site. The University of British Columbia Art Education Program ranks in the top eight in North America and is one of two PhD programs in Canada (Concordia is our counterpart). Both the MA and MEd programs contain a substantive common core of courses in counselling theory and skill acquisition. In addition to basic counselling theory, important aspects of the core include counselling skill development under direct faculty supervision in one of the Department’s school or community-based training centres, development of appropriate assessment skills using standardized and non-standardized measures, and further development of counselling skills in a final practicum most often based within a school or community agency setting. This is a collaborative program between the Educational Administration and Leadership Program and the Department of Curriculum and Pedagogy. The Program was created in response to increasing interest in the study of a combination of curricular leadership on the one hand, and organizational leadership in schools on the other. The applicants for this collaborative program will be teachers in K–12 education who wish to increase their level of understanding and skill in both areas. Upon completion of the program, the students will assume positions of formal or informal leadership in schools, making important contributions to the education of children. This is a collaborative program involving two departments: the Department of Educational Studies and the Department of Curriculum and Pedagogy. The Program was created in response to increasing interest in the study of a combination of curricular leadership on the one hand, and organizational leadership in schools on the other. The applicants for this collaborative program will be teachers in K–12 education who wish to increase their level of understanding and skill in both areas. Upon completion of the program, the students will assume positions of formal or informal leadership in schools, making important contributions to the education of children. 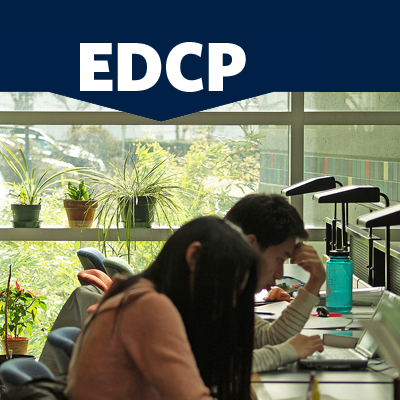 The Educational Administration and Leadership Program (EDAL) is a graduate program of interest to persons who seek to exercise leadership in a wide array of formal and informal educational settings. Graduates will be prepared to provide leadership as educators, administrators and facilitators of educational change within schools and communities. 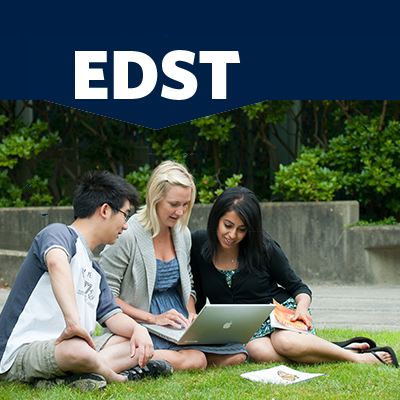 The EDAL Program is known for its ability to generate student professional growth. It challenges established assumptions and offers critical perspectives on education and society. The Program has a distinctive Canadian content and engages with a wide array of educational initiatives across British Columbia and Canada. 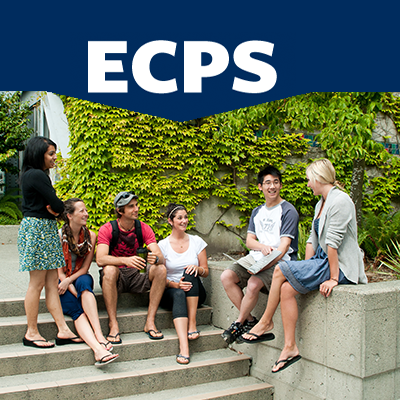 The Higher Education Program at UBC focuses on the study of all facets of institutions of higher learning. The multifaceted, interdisciplinary Program draws on aspects of history, philosophy, sociology, economics, political science, psychology, sociology, law, and administrative studies. The MEd program is appropriate for students with an undergraduate degree in an area related to HDLC. The MEd program is a course-based 30-credit program that is normally completed over two years. It is usually a terminal degree appropriate for those with an interest in advancing their knowledge in the area of HDLC, but who are not interested in conducting research. A teaching certificate is not a requirement. “Self-regulating” learners mobilize “metacognition” (e.g., awareness of strengths and challenges in relation to tasks), motivation/emotions (e.g., growth mindsets), and strategic action to proactively and adaptively learn in all kinds of contexts. Models of self-regulated learning provide powerful frameworks for educators to understand challenges/successes in students’ learning and engagement, and construct practices that foster students’ development as empowered, strategic learners. In today’s classrooms, promoting SRL supports 21st century learning and other educational innovations (e.g., inquiry learning, assessment for learning). Participants in the MEd SRL concentration will engage in rich, inquiry-based processes through which they will continually have opportunities to co-construct knowledge related to learning and development, and to bridge theory, research and practice. Using an inquiry-based approach, educators will learn about the dimensions of self-regulation (e.g., cognitive, motivational, social-emotional, behavioural), and be prepared to create inclusive, SRL-promoting environments in the contexts where they are working. The MEd in Literacy Education (Surrey cohort) focuses on supporting language and literacy development of young children from diverse backgrounds. Over the last decade or so, we have developed better understandings of how to work with children and their families who live in diverse communities. Recognizing that language and literacy development are crucial for success in school, in this cohort we will focus on how to support children from diverse social, cultural, and language backgrounds and children who struggle with literacy and language. Mentoring will also be a focus of this cohort, as School District No. 36 (Surrey) is committed to developing leadership expertise at the school, community, and district levels. The graduate programs (MEd & MA) in Mathematics Education are part or the graduate offerings in the Department of Curriculum and Pedagogy. Students can pursue a wide variety of research and professional interests in mathematics teaching and learning. The math education program has a legacy of large-scale research projects, such as the Early Numeracy Project and the Trends in International Mathematics and Science Study (TIMMS), which involve a network of regional, national, and international scholars. The MEd program is usually a terminal degree appropriate for those with an interest in the application of measurement, evaluation and research to specific educational, health and social service contexts. This Master’s program consists of 30 course credits and is taught entirely in French, with the exception of certain readings in English (papers may be written in English). Participants must therefore be comfortable with written and spoken French. Each year of the two-year program begins with a three-week course in Montreal in July. During the remainder of the year, three courses will be taught from September to June. Students attend these courses online via teleconferencing. Action research on learning a second language or on a theme related to French as a second language forms the core of this program. Accordingly, the program will include courses in research methods as well as courses related to bilingualism and the acquisition and teaching of a second language. 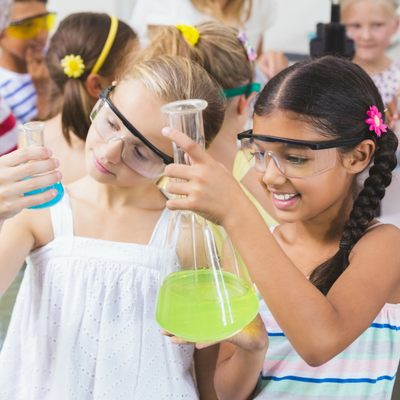 In addition, students will investigate a specific topic relevant to their own classrooms. This master’s program is offered to physical educators who are ready to move up a gear by refining and expanding their ideas of teaching, learning and knowing. Using Teaching Games for Understanding (TGfU) as a catalyst for thinking about ontological and epistemological issues in physical education, teachers will start to explore constructivist, student-centered and holistic approaches as possibilities for their own practice. They will also examine their position on continuums of belief from inclusion to elitism, transaction to transmission, integration to dualism, tactical understanding to skill acquisition, discovery to representation, concepts to techniques and finally between demonstration and creation of understanding rather than mastery. It has long been argued that research by teachers about their own classroom and school practices functions as a powerful mechanism for professional change, as it generates new ways of thinking about practice. The first cohort (2009-2011) focused on TGfU research and published an edited book titled ‘Reconceptualizing PE through TGfU’ (2012) made up of condensed versions of their final graduating projects. This has started a change that should generate health and sustainable programs of teacher research, distributed across schools, teacher groups, school-university partnerships and regional and national forums. 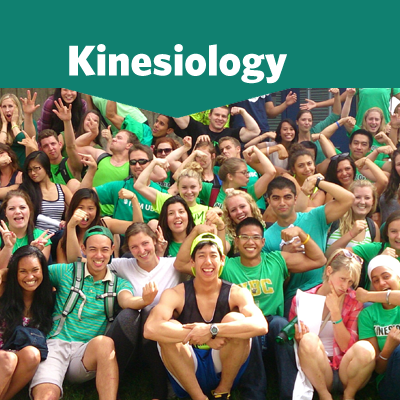 This master’s program focusing on physical education is advertising the third cohort to begin in June 2014. Our internationally known program instructors have built upon the practical ideas, shared research, and reflections that presenters brought to the 2008 International TGfU Conference at UBC. Courses and texts will examine current teaching perspectives, constructs of ability, and curriculums, move into analyzing TGfU from pedagogical and learning theory perspectives, and finally, consider, define, and implement developmentally appropriate TGfU activities. The MA degree concentration in Society, Culture and Politics in Education (SCPE) seeks to address the historical, social, political, philosophical, and cultural aspects of education. We define education very broadly to include formal school contexts, as well as non-formal education and informal learning at all levels and life stages. The SCPE concentration examines the meaning and outcomes of critical theories of education, policies, and practices for public life in Canada and across the world. As scholars working within and across many disciplines, we view education as a central field within the arts, social sciences, and humanities. 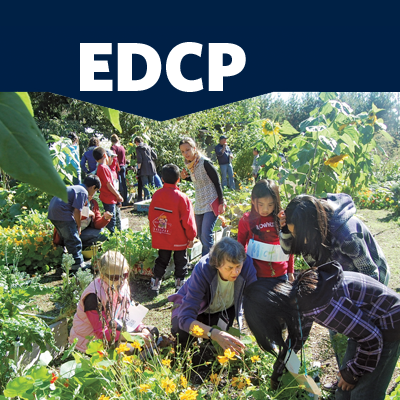 Students and faculty associated with the SCPE concentration share interests in the part played by education in developing socially, ecologically, politically and culturally just societies. 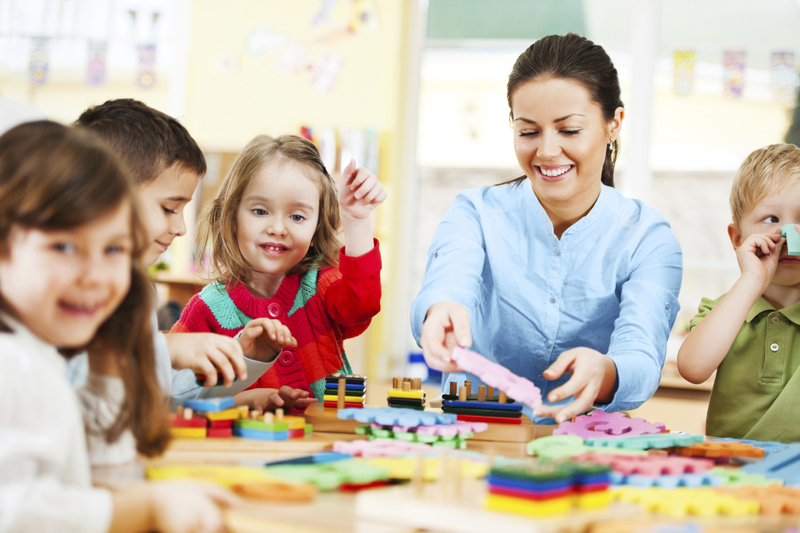 The concentration is designed for teachers who work in general education classrooms and/or within learning assistance or resource classrooms that include students with learning disabilities. This concentration will support educators and educational leaders who seek to advance their knowledge and expertise related to creating inclusive classrooms and schools. Using an inquiry-based approach, the program will bring together classroom teachers and special educators to consider how they can work collaboratively to support the diverse learning needs of students in inclusive settings. It will also prepare educators, administrators, policy-makers and/or other related professionals who wish to serve as leaders in designing and supporting inclusive practices in classrooms, schools, and larger educational systems. Ts’‘kel, which means golden eagle in the Hal’qemeylem language, was originally established in 1984 as a program of study leading to a Master of Education in Administration. Ts’‘kel students are engaged in interdisciplinary research on social and educational topics related to schooling, Aboriginal community development, and historical and theoretical work that has a direct relationship to First Nations health and welfare. 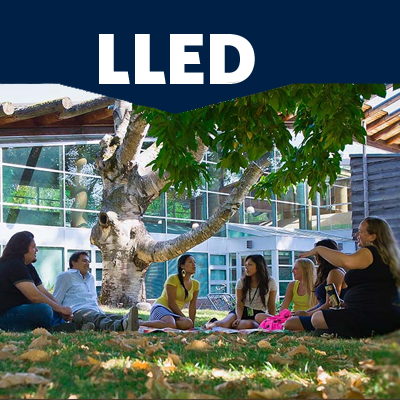 Ts’‘kel is an integrated program for advancing Aboriginal access and Indigenous content in education and across disciplines throughout UBC. Students do not apply to Ts’‘kel, but to the department and a graduate program of their choice. The Vocational Rehabilitation Counselling (VRHC) is to address the vocational effects of neurological, physical, sensory, psychiatric, neuropsychological and pain-related disabilities. The curriculum has been developed in accordance with future program accreditation requirements and prepares graduates for licensing by respective professional licensing bodies for vocational rehabilitation professionals.The area of focus in Vocational Rehabilitation Counselling which follows the scientist-practitioner training model and prepares students for independent practice in a wide spectrum of vocational rehabilitation service areas, including, but not limited to: vocational assessment, vocational individual and group intervention, adjustment and rehabilitative counselling, job development and placement, return-to-work planning, case and disability management, and research and program evaluation. A supervised clinical experience in the Vocational Rehabilitation setting, as well as coursework on psychosocial and medical aspects of disability, has also been built into the curriculum. 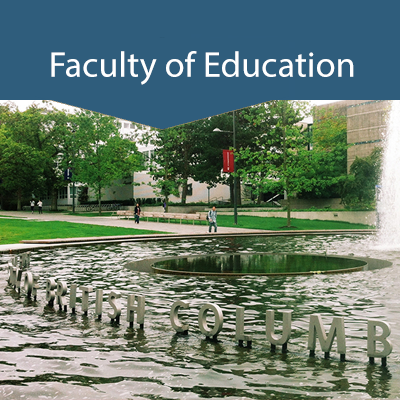 It is responsive to the needs of Canadian vocational rehabilitation professionals and provides a uniquely Canadian perspective on vocational rehabilitation counselling and the environment where it is delivered.Both regular UBC faculty and sessional faculty will be involved in teaching. Sessional faculty will be selected among expert vocational rehabilitation professionals with academic background and qualifications. The Master of Museum Education is a unique graduate degree program focusing on the study of education and learning that occurs in museums and other informal learning contexts. This programs draws together Museum professionals, educators and those with an interest in using the community to support teaching and learning to further their thinking and scholarship around museums as sites of education and learning. As museums contemplate new roles within society it will be incumbent upon museum professionals, and particularly museum educators, to become catalysts for different ways of thinking about the educational roles and potentials of museums and other informal learning sites, teaching and learning in museum settings as well as exploring new relationships between museums and the broader community. This program will provide the necessary skills and knowledge for careers as educators in informal settings such as museums, locally and globally, and to support classroom-based teachers in expanding their use of the community as a learning site. The program model is one that recognizes the need for contextualizing museum education curriculum in both home country context (which has its own unique social and political context) and in the Canadian cultural context of museum education, in which practices may be conceptualized in other beneficial ways to that of the student’s own country of origin. The end result are graduating students that are then better able to influence the systems in their own countries with strengthened capacities to introduce beneficial reforms around museum education.